Today, our homeschool’s team spending our weekend at the equestrian. 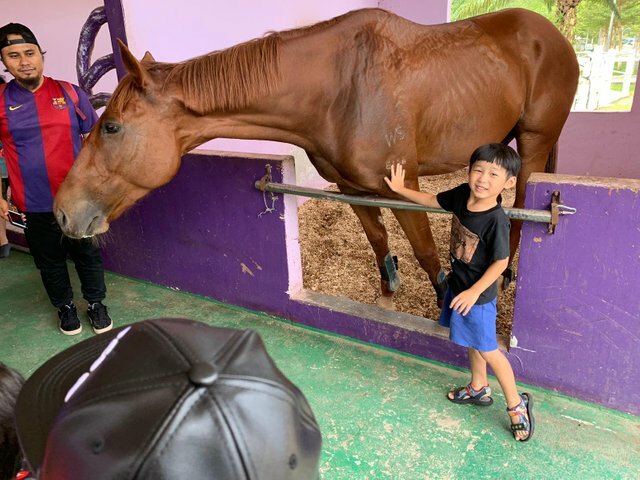 We got the chance to take the photos with horse. They also let us feeding the horse with some grass. 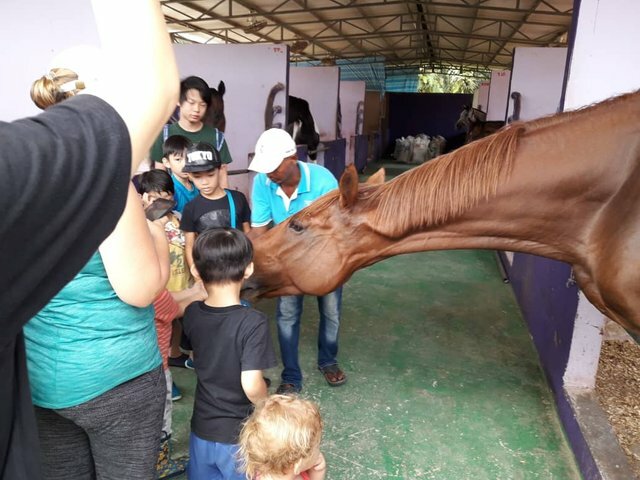 The kids were fighting to be the first to feed the horse as this is the first time for most of the kids. Hurray!!! 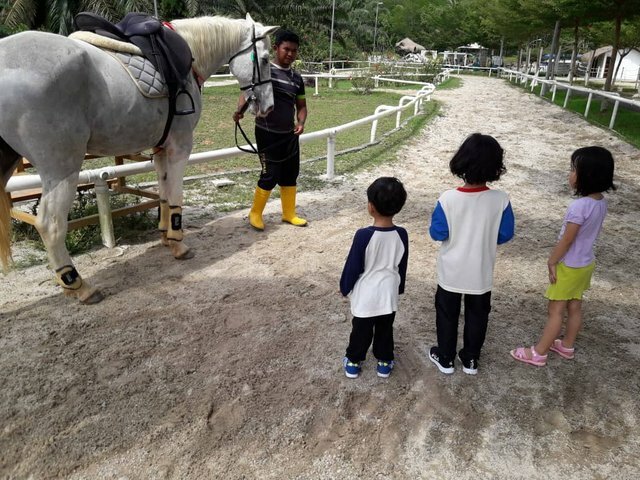 The kids get the chance to ride on the horse. The kids can’t wait for it, but they are good enough to queue up for their turn.